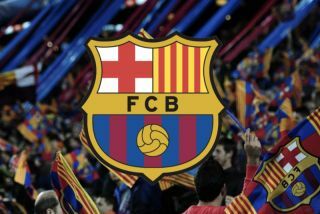 Barcelona will reportedly look to sell Lucas Digne, Yerry Mina and Aleix Vidal in order to raise €70m which in turn could be used to sign a new midfielder. The Catalan giants have already been busy this summer, with Clement Lenglet, Arthur and Malcom being officially unveiled as new signings. However, having lost both Andres Iniesta and Paulinho, it’s questionable as to whether Ernesto Valverde has enough quality and depth in his midfield to ensure that Barcelona compete on multiple fronts next season. With that in mind, Sport claim that Barca could look to offload individuals deemed surplus to requirements in order to balance the books and give them the funds required to go out and sign another midfield ace. The report notes that €70m could be raised from selling Digne, Mina and Vidal, with €40m of that windfall potentially coming from Mina who is coming off the back of an impressive showing at the World Cup and in turn could be a player in demand. Having struggled to entirely settle and find his feet at the Nou Camp after his January arrival, it would seem a little harsh for him to face the axe after being given just six months to prove his worth. However, particularly with the signing of Lenglet, it remains to be seen if he has a future with the Spanish champions or if he has merely fallen down the pecking order. Digne and Vidal have been limited to back-up roles and so arguably won’t be too much of a loss, but it remains to be seen if they can be sold and who Barcelona will then target to address their own concerns as they look to sustain their domestic dominance, having done the double last season, while also targeting the Champions League.